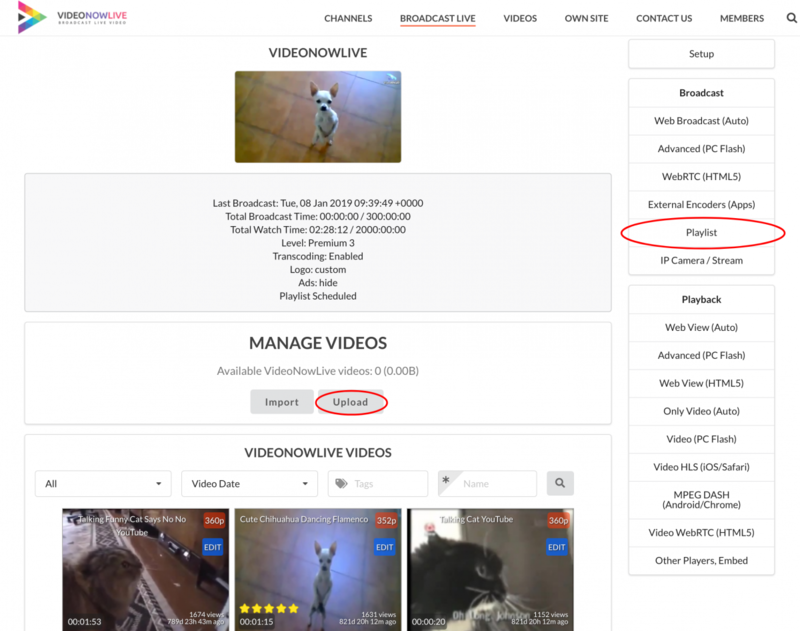 After creating a channel, Upload videos or Import (from archived broadcasts) to use for the Playlist. 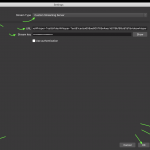 You can upload multiple videos with the drag and drop ajax uploader, by selecting multiple files and dragging to drop zone. Fill settings (tags, 説明) first. 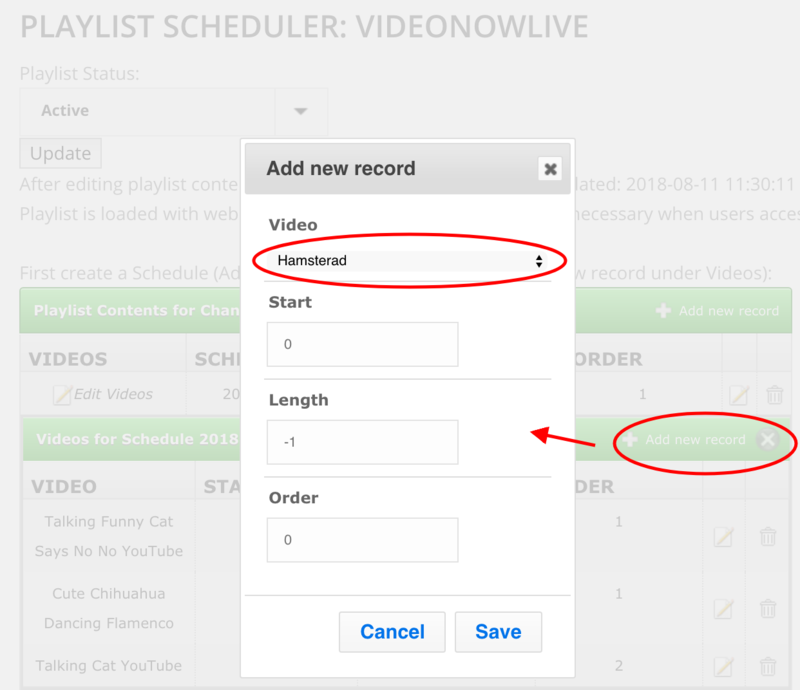 Next step is to create scheduled broadcasts and add the videos to the playlist. 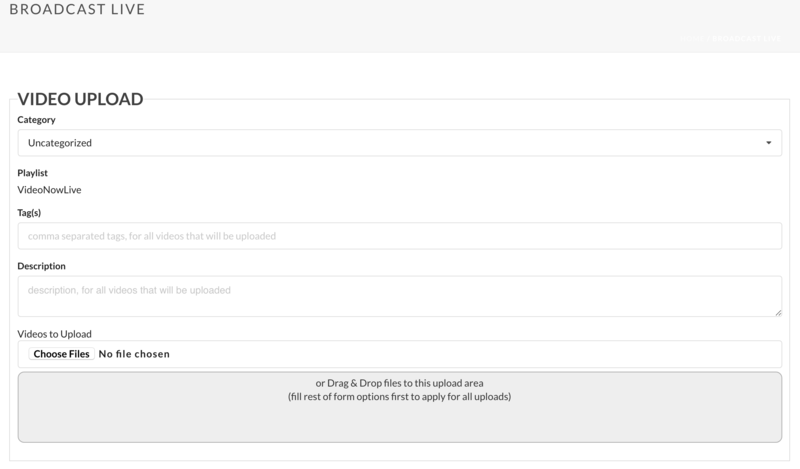 When adding videos, uploaded videos will be listed as options to select from. After creating desired playlist, last step is to Update playlist (with Playlist Status set as Active).